By 1864, the Union Army's victories in Vicksburg and Gettysburg were overshadowed by growing criticism of the president's leadership and the failure to capture Richmond. Lincoln feared he wouldn't be re-elected, unless he could produce tangible evidence that the end of the Civil War was in sight. As the award-winning historian Susan Schulten notes on her blog, Mapping the Nation, Lincoln believed that a repudiation of his presidency would be a repudiation of the war itself. With a third-party candidate, John Frémont, threatening to steal votes away from dissatisfied Republicans, it was not unthinkable that the Democrats—who favored an armistice with no preconditions—would win the White House. The Democrats chose George McClellan as their candidate; the general whom Lincoln had fired two years previously. Fortunately for Lincoln, just two months before the election, Confederate forces surrendered Atlanta to Union forces under the command of General William Tecumseh Sherman. Though this was not the only factor in the election, it certainly demonstrated strong territorial gains for the Union. Frémont chose not to continue his campaign and the Democrats were handily defeated in November. Had McClellan won, General Sherman's march through Georgia would surely have come to an end. But instead, just days after the election, Sherman took his men on one of the ambitious and risky campaigns of the war, cutting loose from his supply line to cut a sixty-mile swath through to the sea. He reached Savannah on December 10, presenting the city to the president as an early Christmas gift. It was at this moment, just after the election, that Lincoln's top engineers delivered a series of maps to the Senate to demonstrate the substantial victories made by Sherman and the larger hope that victory was near….To demonstrate these gains the Chief Engineer of the Corps took a commercially published map of the U.S. and colored those areas under Union and rebel control in 1861 and 1864. Notice that in the 1861 map even the formally loyal slave states of Missouri and Kentucky are partially colored in rebel color, as if to acknowledge the very real Confederate sentiment in those states. This made the contrast to the second map representing November 1864 all the more apparent and tangible. If Virginia remained stubbornly Confederate, there were still huge and undeniable territorial victories…. The conquest of the Mississippi had completely bisected the Confederacy. 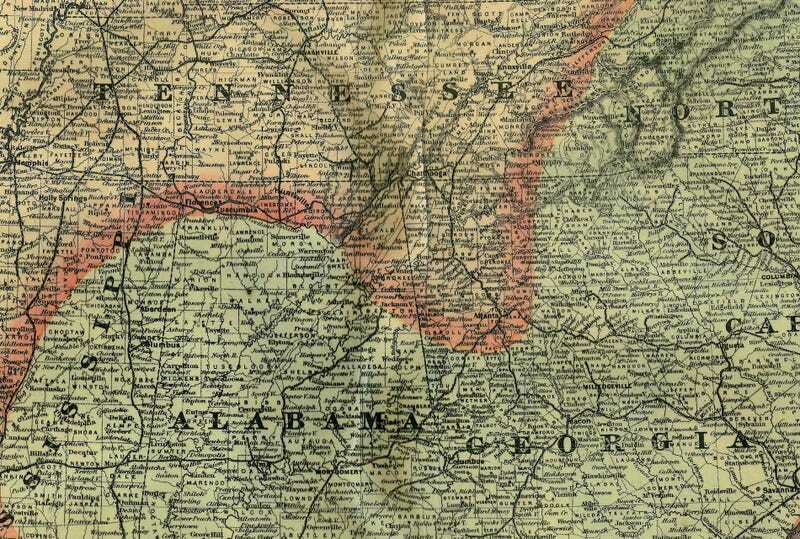 But it was the gains in Georgia that prompted the Corps to make the map, for they showed an incursion into the heart of the Confederacy, and correspondingly signaled the war's final phase. Sherman's conquest is remembered as one of the most controversial campaigns of the war. But the outcome mattered not just for the war but for politics. The dual victories on the battlefield and at the ballot box gave Lincoln the mandate not just to continue the war, but to press the House to pass a constitutional amendment permanently ending slavery in the U.S.